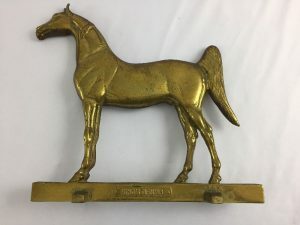 This vintage original oil painting is by noted horse artist Gwen Reardon, who was a very popular painter of Saddlebreds, and is now known for her sculptures. 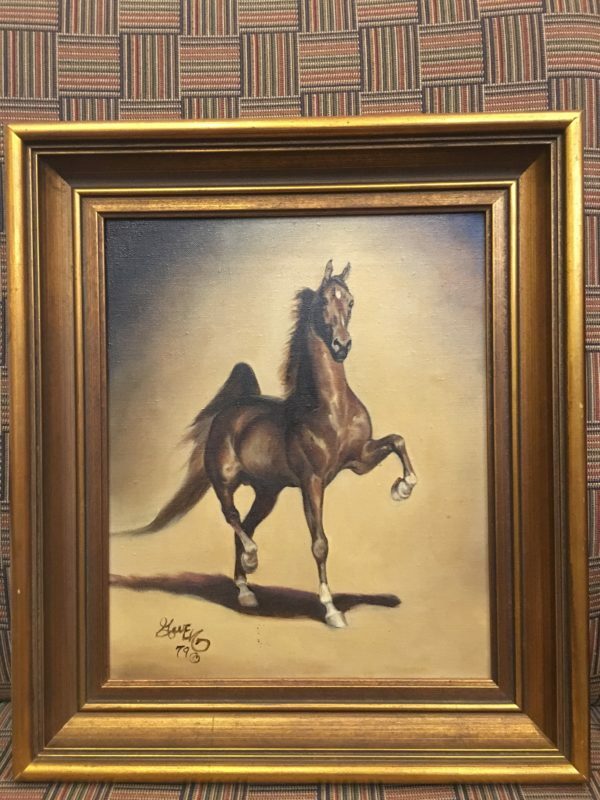 Believed to be the Saddlebred stallion Commander’s Best by the legendary WCH Wing Commander, this 1979 painting came from a Saddlebred collection in the Kentucky Bluegrass. The size of the painting size is 9.5″ x 11.5″, in the original frame. 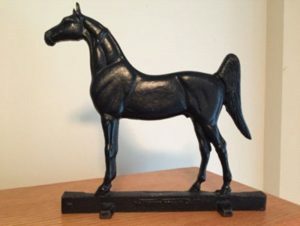 What a dynamic oil to enhance any Saddlebred enthusiast’s collection of fine art! Contact me to arrange insured shipping, or for local pick up at the Kentucky Horse Park or in the Lexington area.